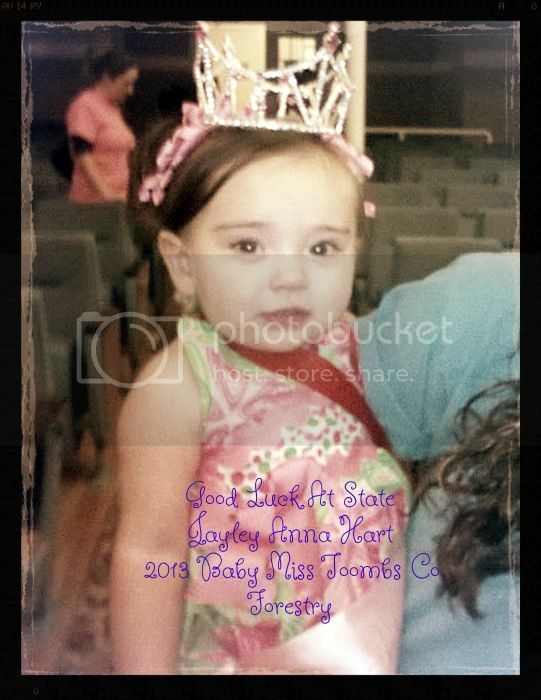 Pertaining to Local and State Forestry Pageants, Enjoy! please post or let us know about it! Promoting and Protecting The Forestry Industry! A Scholarship Pageant That Actually Promotes A Commodity! We are accepting applications for the 2017 Miss Georgia Forestry State Pageant and the 2017 Miss United States National Forestry Pageant! The 78th Annual Miss Georgia Forestry State Scholarship Pageant will be held in June in Tifton, Georgia. 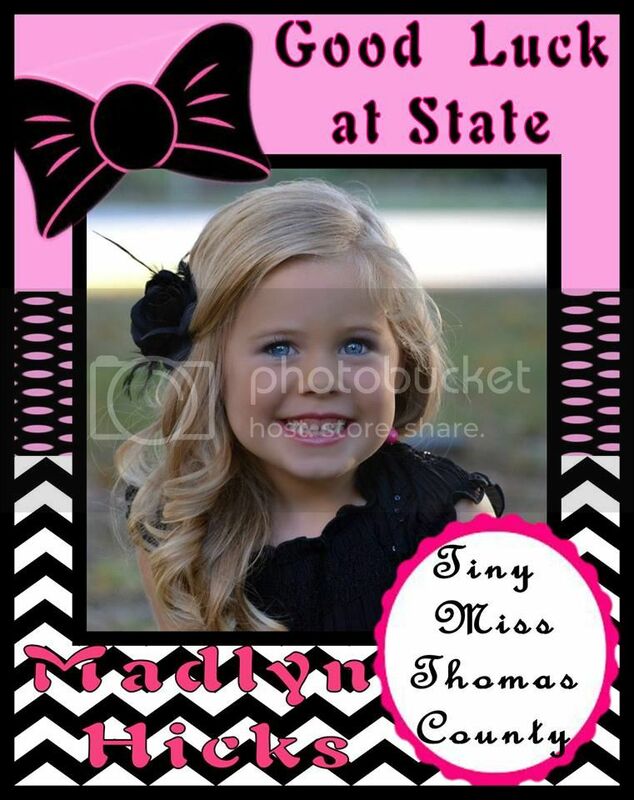 Baby, Teeny and Tiny Miss Contestants will compete on June 9th. 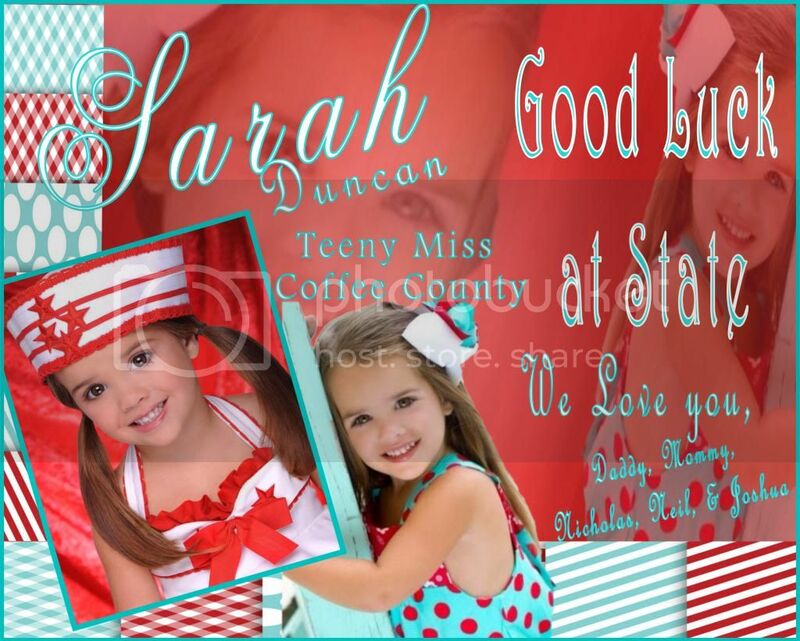 Little and Junior Miss contestants will compete on June 10th. Teen and Miss Contestants will compete on June 16th and 17th. The age divisions are as follow Baby Miss ages birth to 23 months, Teeny Miss ages 2 to 3 years, Tiny Miss ages 4 to 6 years, Little Miss ages 7 to 9 years, Junior Miss ages 10 to 12 years, Teen Miss ages 13 to 16 years and Miss ages 17 to 24 years. The pageant is open to one contestant per county and one contestant per college in the State of Georgia. Contact us today to claim your county title. As a county title holder, you will receive a custom county crown and sash. 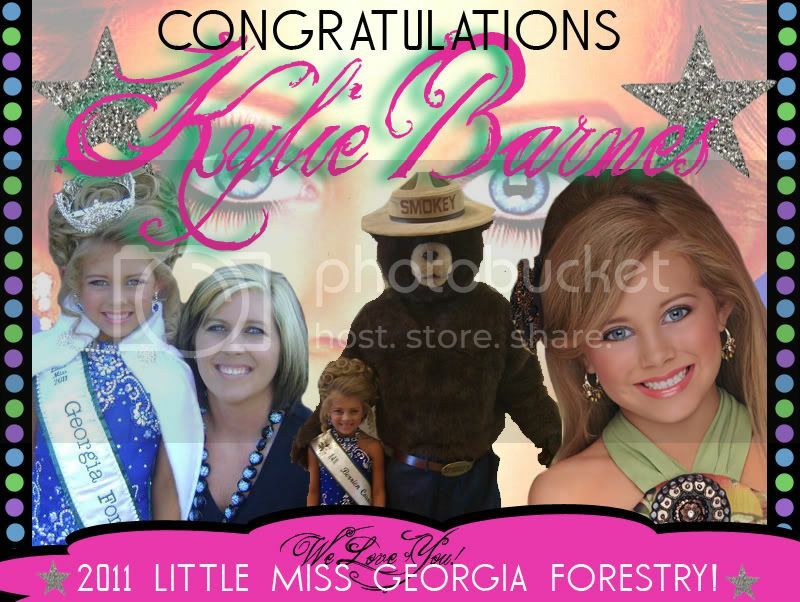 The Georgia Forestry Pageant is the oldest Scholarship Pageant in the State of Georgia going into the 78th year and is a registered trademark with the United States Trademark. State Pageant. The girls participate in a parade with their county and title on their car, they are treated to cookouts, treefarm tours, formal balls, and many more events. The younger girls are treated with a tea party and a pajama party. This year a formal ball will be held for the Teen and Miss contestants. The Miss Georgia Forestry receives besides the scholarship, the official round Miss Georgia Forestry crown, monogrammed velveteen robe, rhinestone studded banner, official Miss Georgia Forestry pin, silver engraved tray, flowers, picture and interview in five national magazines, monogrammed director's chair, monogrammed luggage, and gifts totaling over $2,000.00. Miss Georgia Forestry receives a $2,500.00 cash scholarship with all four runner-ups receiving scholarships.Teen and Miss also receives a $12,000.00 scholarship to Wesleyan College. The Teen and Miss runner-ups receive $10,000.00 scholarships each to Wesleyan College. The younger girls receive the official Miss Georgia Forestry crown, rhinestone studded banner, official crowning pin, silver engraved tray, monogrammed velveteen robe, flowers, scholarships, monogrammed director�s chair, bicycles, stereos, gifts totaling over $2,000.00 and their picture and interviewed by several national magazines. The Miss Georgia Forestry Queens have the opportunity to ride on the Georgia Forestry Pageant float serving as Ambassadors to the Georgia Forestry Industry. The Miss Georgia Forestry Pageant was started in 1940 to offer educational opportunities to young ladies while promoting Georgia�s Number One Industry, Forestry. The Miss Georgia Forestry Contestants will also have the opportunity to advance to the Miss US National Forestry Pageant. The pageant is open to all counties and colleges in Georgia. 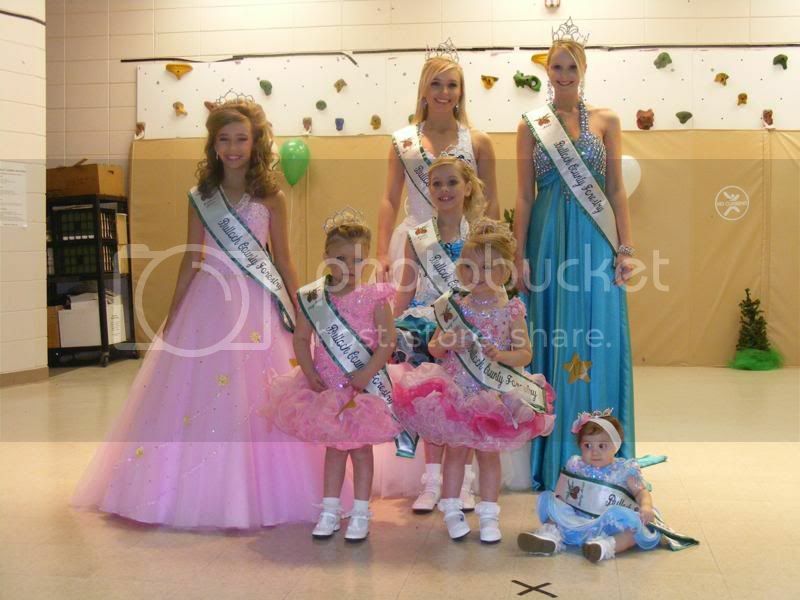 The younger girls are judged a 1 to 20 on poise, beauty, gown, personality, and overall appearance. The Teen and Miss are judged on interview, public speaking, and evening gown. The Miss Georgia Forestry Pageant is one of the most prestigous pageants in Georgia and is one of the largest providers of prizes in Georgia. The judges for the Georgia Forestry Pageant are selected from out of state and are always highly trained and qualified. The Georgia Forestry Pageant provides a fun and fair pageant for all the girls who participate. Come join us and have fun with Smokey Bear in Promoting and Protecting the Forestry Industry for Georgia. Subject: Good luck Tiny Miss Doughtery-Lee!!! Good luck Melzy!! We love you and are so proud of you!! Subject: It's been a great year! While I am sad for my year to end, I am excited about all of the activities that I will get to participate in the next 2 weeks. I can't wait to go on stage with Smokey Bear as well as go dancing with my Daddy, Corey Ford. Gammie said I get to stay in the hotel for 3 days both weekends and that is so exciting because I love staying in hotels. I get that from my Mama Jamie Kay Ireland. Thank you to Miss Dianne Dominy, the State Director and my Forestry Family for a great yearhttps://www.facebook.com/photo.php?fbid=712447165486662&set=a.594763693921677.1073741828.100001641543782&type=1&relevant_count=1!!! Subject: We would love to have you attend our judges workshop and training on August 17th at 2:00 P.M. at the American Legion Home in Tifton. You will be eligible to judge Forestry prelims as well as other pageants. To register mail your name, mailing address, email address, and phone number to GFPEA 1019 Love Avenue Tifton Georgia 31794 along with your $25.00 registration fee. The fee covers the cost of your materials. 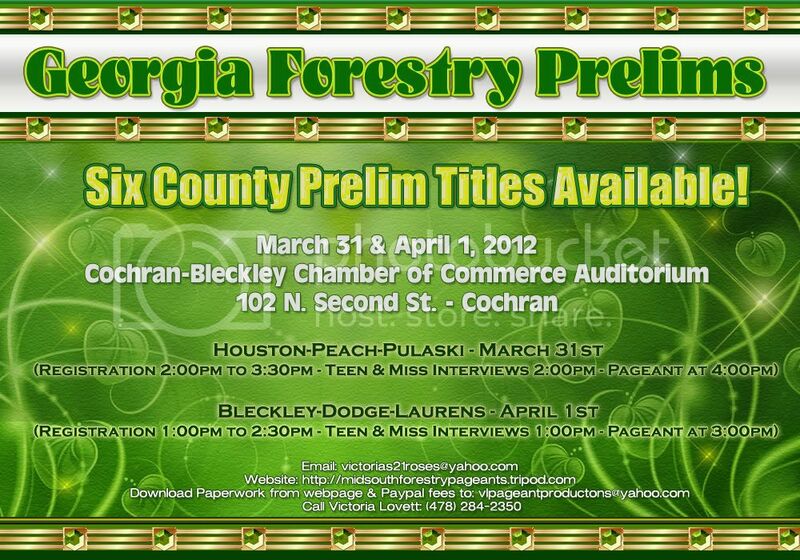 Subject: Attention: Georgia Forestry Contestants!!! If you have not received your itinerary, you need to contact your local director immediately and have her email it to you. You will be lost without your itinerary. You need to read the whole itinerary and print it out and bring it with you to state. Itineraries were sent to local directors to send onto their queens. These itineraries are different than what is on the website, they are more detailed! Subject: So proud of you McKenzie Belle Ford!! Subject: There seems to be some confusion on who is eligible for National Forestry. If you competed in a Local or State Forestry Pageant, then you are eligible to compete at Nationals. Nationals is a one day pageant and is on August 31st. All contestants from State are eligible to compete. Please Pray for Shelby Lynn Hicks and her family her Papa Roy Carroll Passed away this afternoon. They were on there way to tell him how well she did at the State Forestry Pageant this weekend. And her mom got the call! Please keep them in your prayers!! 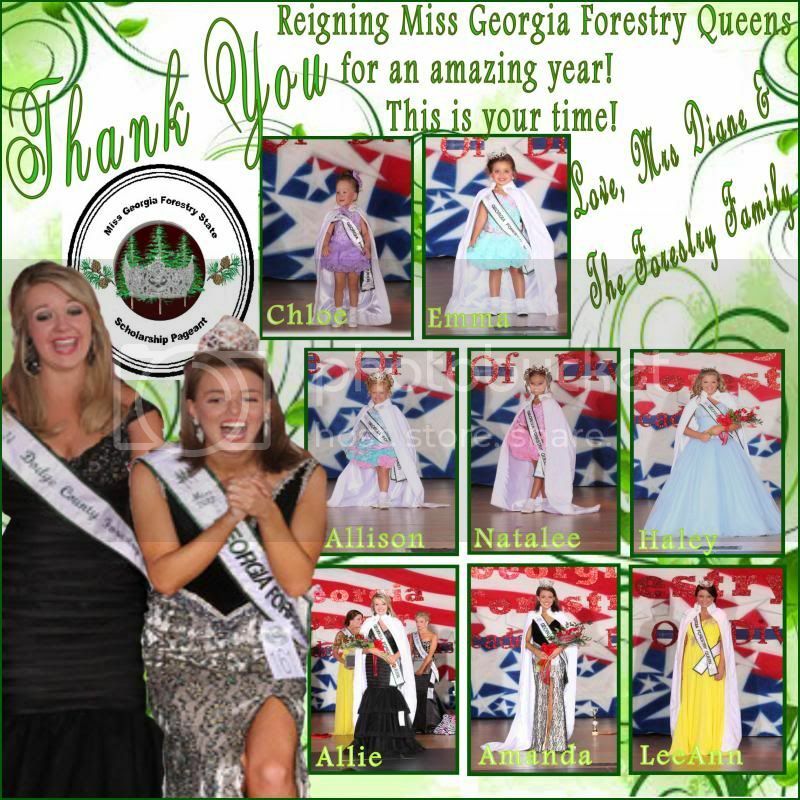 Congratulations to the Teeny Miss Georgia Forestry Winners and their Local Directors. I know you all were very proud! 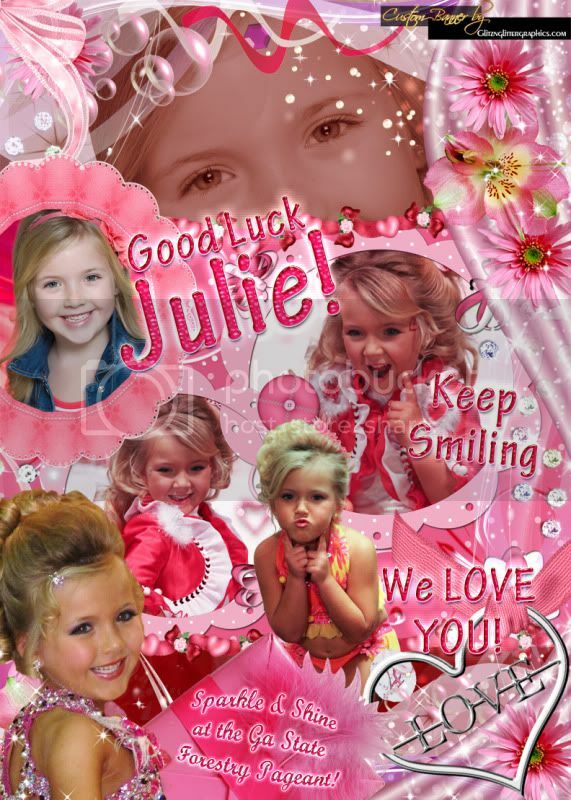 Subject: McKenzie Belle Ford - We love you and Wish you the Best of Luck! Good luck to all my sister queens competing this weekend! Have fun and do your best! Love you girls! Subject: Abigail's time to shine! Good Luck at State!! We love you and will be there to cheer you on!! Go Jay Bug!! Subject: Who said "To exist as a nation, to prosper as a state, and to live as people. We must have trees. The first one with the correct answer will win a free ticket to the state pageant. 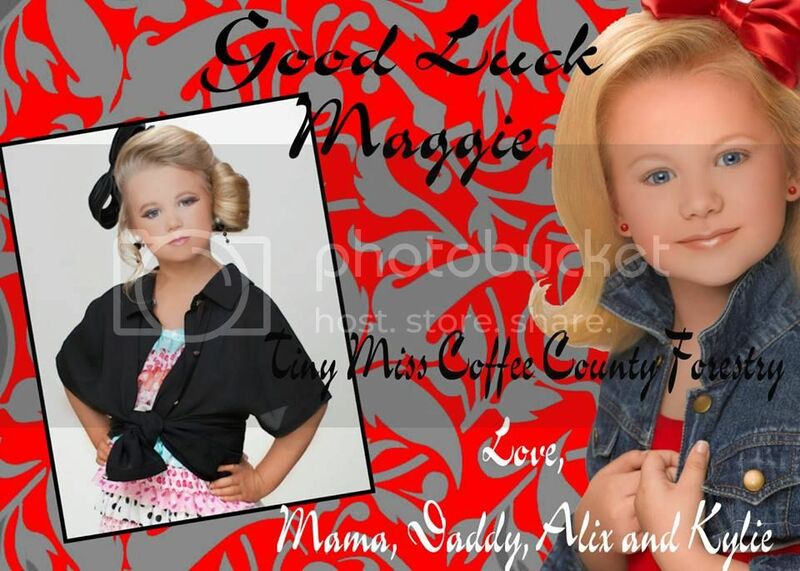 Subject: Good Luck Maggie Rae! Can't wait to see you cross that stage ! Love your mom, Steve and Grandma Pat..
Subject: Good Luck At Forestry! Subject: GOOD LUCK SHELBY HICKS! WE LOVE YOU! Subject: GOOD LUCK JO'LEIGH HICKS! WE LOVE YOU BABY! Good Luck Ashtian Elizabeth Kessler, Laurens County Teen Miss. 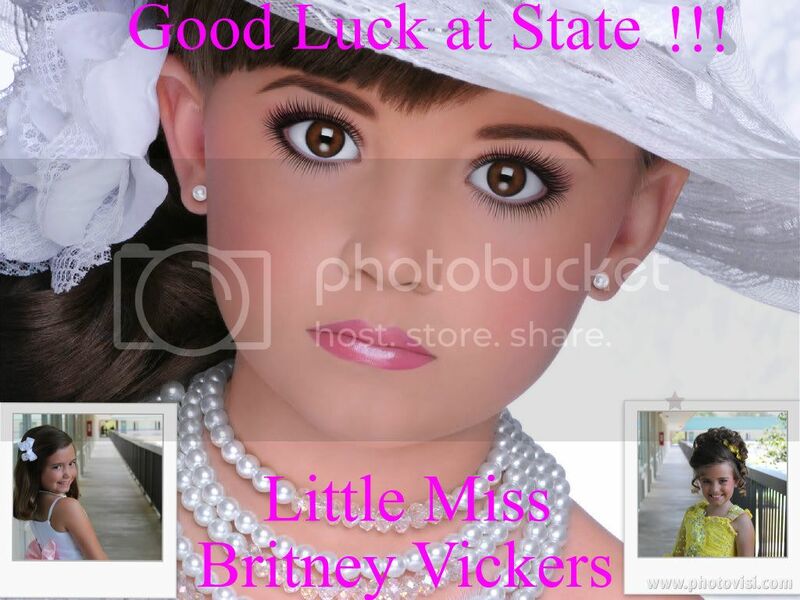 We wish you and your sister Laurens County queens the best of luck at state. Best of luck to all the girls this weekend!! Smile big, Shine Bright and Have fun!! 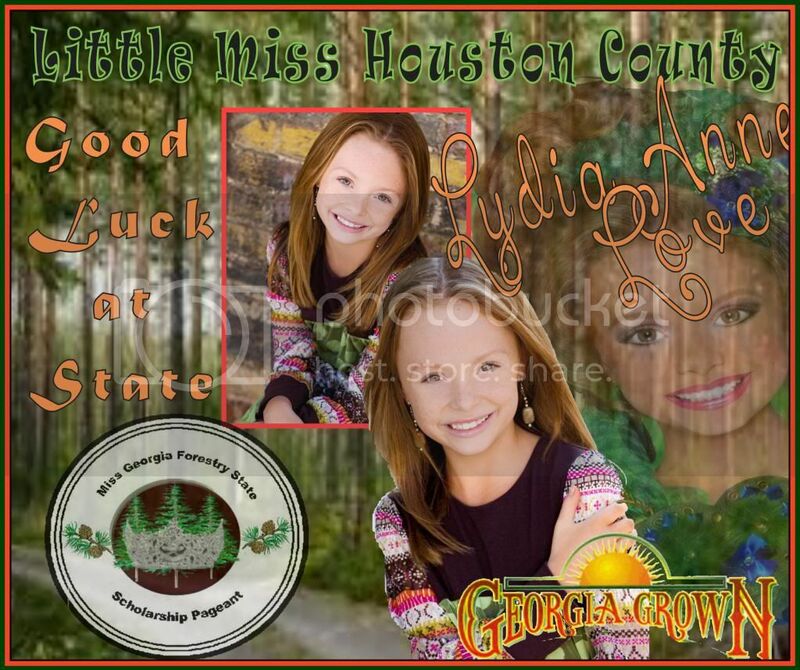 A special good luck to Lydia Anne Love & all of her Houston County Sister queens! Can't wait to have a fun weekend...when we are CROWN BOUND!!! :) Love you all to the moon and back! I want to wish our Tift County Forestry Queens the Best of Luck at State. Remember to smile, make friends and have fun! Love ya! Subject: Thank you Miss Georgia Forestry Queens for an amazing year! Thank you Miss Georgia Forestry Queens for an amazing year. You all have been wonderful state representatives. The State of Georgia fell in love with all of you this past year. Thank you so much for all the hard work you put into promoting the Forestry Industry for our beautiful State of Georgia. The next two weekends will be a tribute to you for your hard work. You will always be in the hearts of the Georgia Forestry Pageant. God Bless all of you, Mrs. Dianne and the Georgia Forestry Pageant. Subject: Attention Miss Georgia Forestry Contestants! Your itineraries have all gone out through email. Please check your email and your spam box. Please read the whole itinerary. Do not just glance over it. Please read the judging criteria. Subject: Good Luck Abigail Kimbrough! 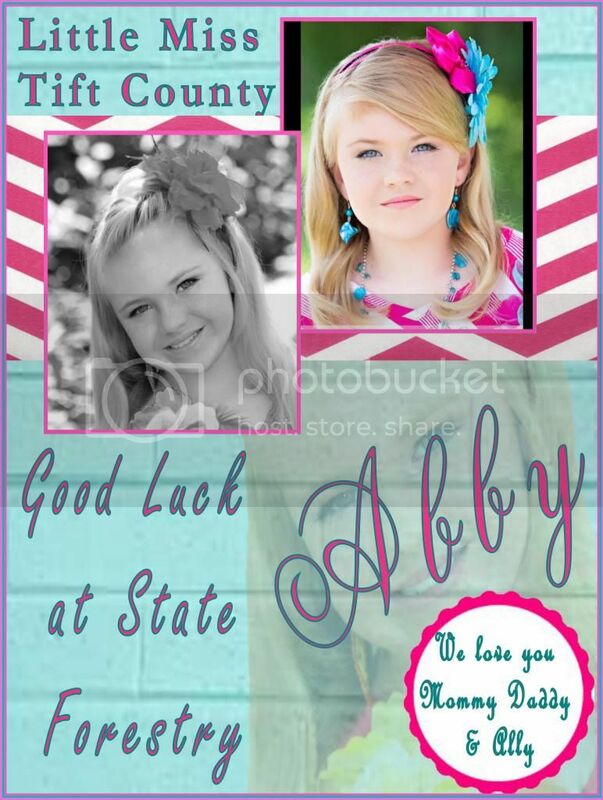 Abigail you have the brightest personality and I wish you all the best in the State pageant on June 7th. Rock the stage and bring home the crown! 2013 Teeny Miss Cook County & Hospitality Queen! Love you, Mommy! Open to all counties and all ages. 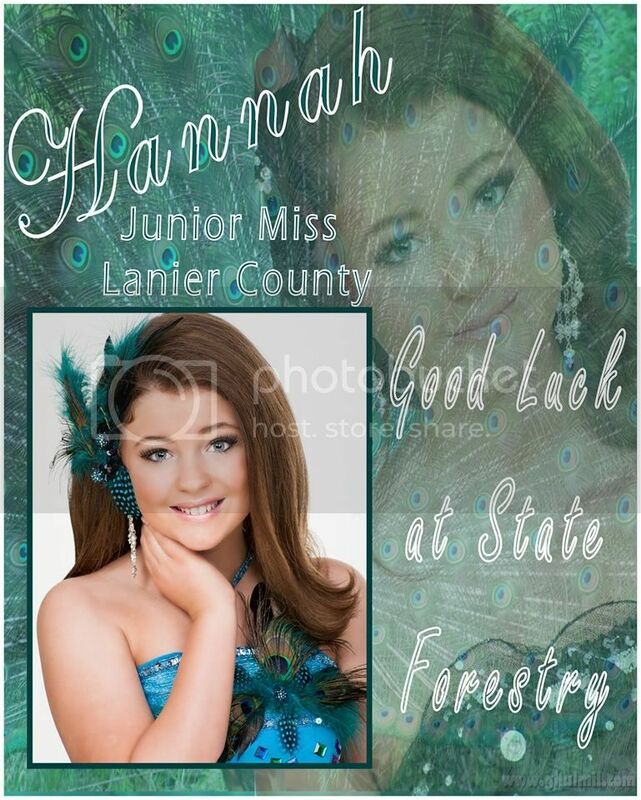 Looking for make-up and hair stylists for the 2013 Teen Miss Georgia Forestry pageant. Please leave any names you can recommend. I would to invite girls to come and compete at the Miss Berrien COunty Forestry Pageant for a chance to go and compete at the State Pageant in June. 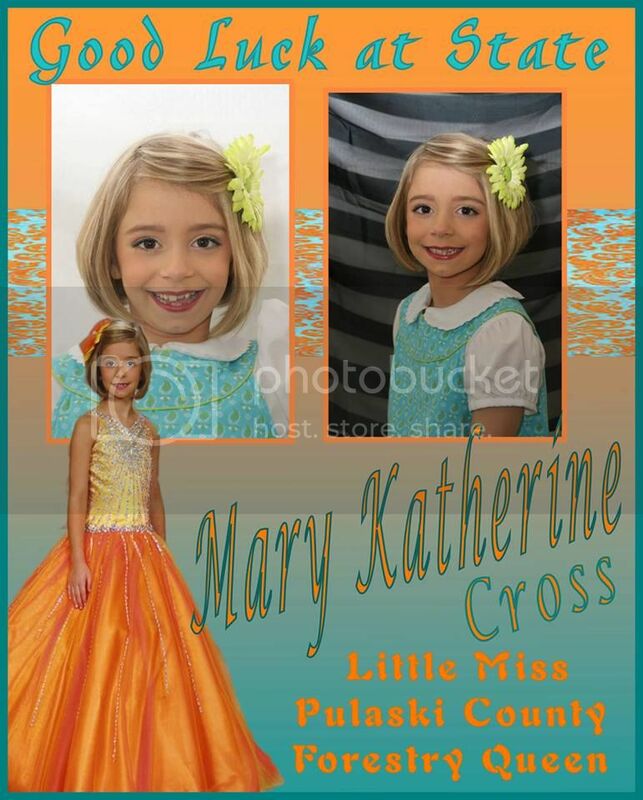 The pageant is March 9,2013 at the Life Center here in Nashville. Pageant starts at 6p.m. Age groups start at 2 and go through 24. If you are interested, please contact me, COnnie Luke, at cmluke2001@yahoo.com or call 229-561-2529 or 229-686-7366 after 6 p.m. Would love to have you come and be a part of this pageant. 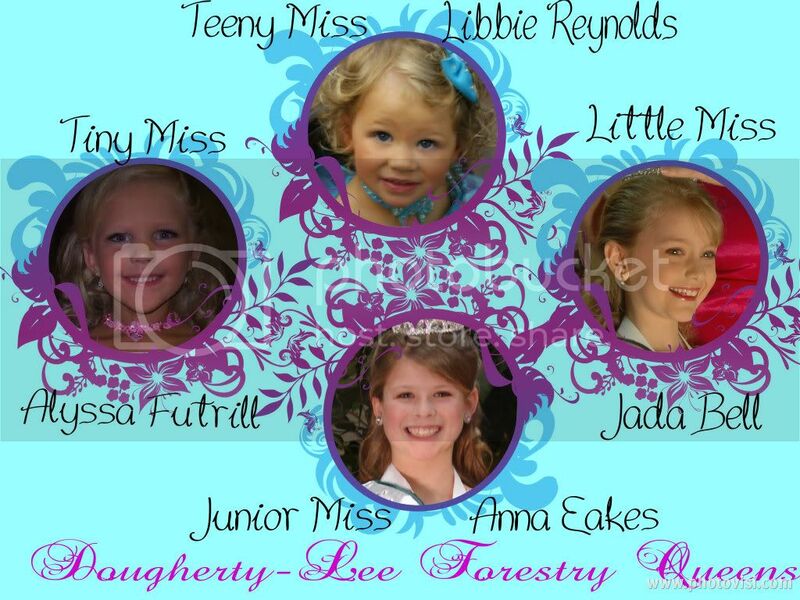 Subject: Congratulations to our Little Miss Georgia Forestry Winners. Congratulations to all the contestants, you all were beautiful! Mr. Ronnie Martin retired chief ranger of the Decatur County Forestry Unit is fighting for his life. Mr. Ronnie has cancer. I am asking all the Forestry Family to please form a prayer chain for Mr. Ronnie. We all know the power of prayer. Subject: Gorgeous Dress For Sale!!! If you would like to direct a Local Forestry Pageant in your county for 2012-2013 please contact me right away. We are appointing Local Directors for 2012-2013. Our Local Directors meeting is August 11th. 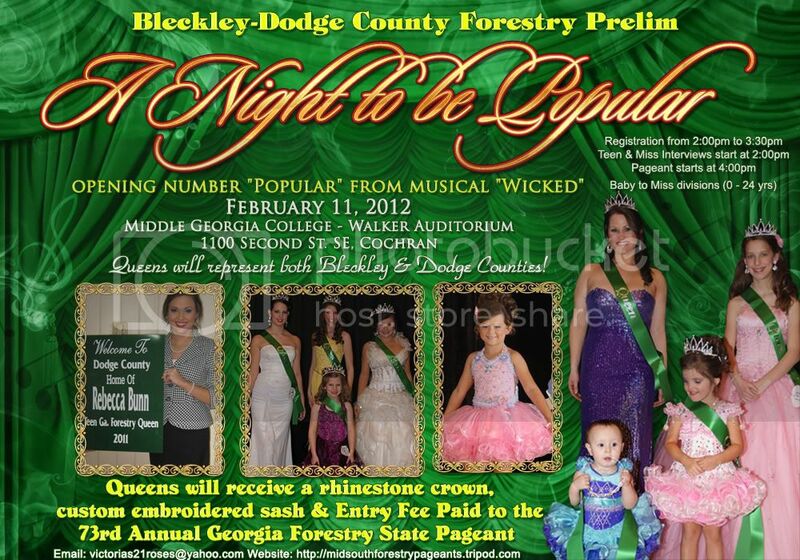 If you would like to become a judge for the Local Forestry Pageants. Our judges training is August 11th at 2:00 P.M. Please post winners from last week's Forestry pageants. I wanted to let Iz, Natalee, and Halee know how proud we are of you. You were all beautiful this past weekend. I am so proud of how not only your outward beauty shines, but your inward Godly beauty shines also. Good-luck to Faye Beth and Hannah this coming up weekend. 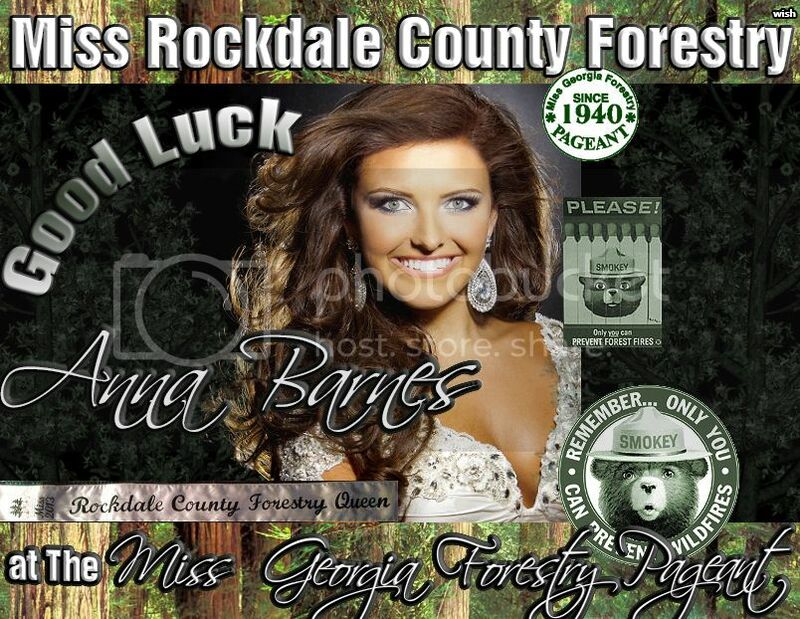 I hope everyone is ready for an exciting weekend at the 73rd Annual Miss Georgia Forestry State Pageant. EVERYONE should have their itineraries by now, if you do not have an itinerary, please contact your director. After today, you will not be able to contact me. I have to travel out of town to several places picking up the prizes. Please contact your local director if you have questions and please read your itinerary and follow all the instructions on there. We have an awesome two weekends planned. As the year ends it always saddens me to say Good By to our State Queens. Each year God sends me the best queens and I think each year gets better and better. He put eight special girls in my life in 2011 to represent our State as the 72nd Annual Miss Georgia Forestry Queens. Haley Hortman Miss Georgia Forestry Queen, Rebecca Bunn Teen Miss Georgia Forestry, Angel Harris Junior Miss Georgia Forestry Queen, Kylie Barnes Little Miss Georgia Forestry Queen, Bentlee Carter Tiny Miss Georgia Forestry Queen, Abigail Hancock Teeny Miss Georgia Forestry Queen, Kylee Daniels Baby Miss Georgia Forestry Queen, and Alexis Dorsey Miss Georgia Forestry Hospitality Queen....all deserve a standing ovation. These beautiful girls have worked very hard in promoting our Forestry Industry this past year. They have upheld their titles with dignity and pride. I know God has special plans for the each of you. Remember, you will always be part of the Forestry Family. The 2012 queens will have some tough shoes to fill. I love all of you and can't wait to spend the next two weekends with you. To all the contestants, I wish you all the best of luck. Remember, you are all winners for gracing the stage. I would be proud and honored to have any of you as the 73rd Annual Queens. I pray for safe travels for everyone. It always amazes me how Forestry always has such beautiful, bright, and talented contestants. To the parents, thank you for sharing your children with the Forestry Pageant. We are very blessed. To all the Local Directors, thank you all for your hard work and dedication to the Forestry Pageant. Your hard work does not go unnoticed. I know you all will be smiling with pride as you watch your girls onstage the next two weekends. Remember, you are all beautiful and special. I will see everyone on Thursday. Sun kissed Spray tanning will return this year for your tanning needs! Please contact Chellie Duncan @ 912-381-2227 or send a text! Appointments Available for Thursday and Friday! Friday, June 8th Baby and Teeny at 3:00 P.M. Tiny Miss at 7:00 P.M.
Saturday, June 9th Little Miss at 4:00 P.M. Junior Miss at 7:00 P.M.
Saturday, June 16th Teen and Miss at 6:00 P.M.
Master of Ceremonies: Radio Personality Chris Beckham Mistress of Ceremonies: Haley Hortman Miss Georgia Forestry. Subject: Good Luck at State!!!! The Dougherty-Lee Forestry Directors and Queens want to wish everyone good luck at State! We are looking forward to spending two wonderful weekends in Tifton with some old friends and looking forward to making many new ones. There can only be one queen crowned in each division but you are all winners for being here! Bring on the Divas!!!!! Subject: Spray Tanning for State. Call Mandy to make an appointment. For makeup bookings feel free to call me directly at 229.403.1229 or email me at aprilnhollingsworth@gmail.com. I'm also offering coaching sessions as well. 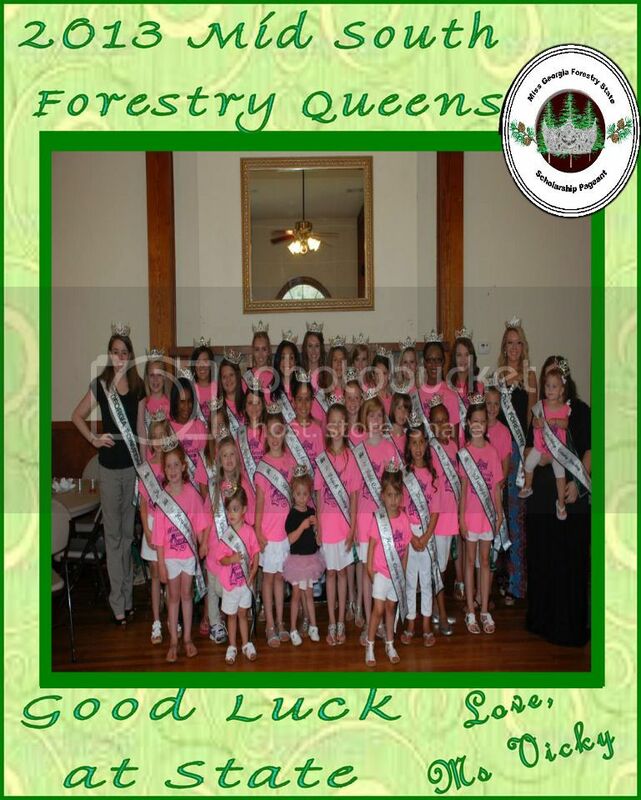 Congratulations to my Newly Crowned Laurens County Forestry Queens. I am really looking forward to working with everyone. Congrats to the Newly Crowned 2012 Peach County Forestry Queens. Looking forward to having a fun year with them. 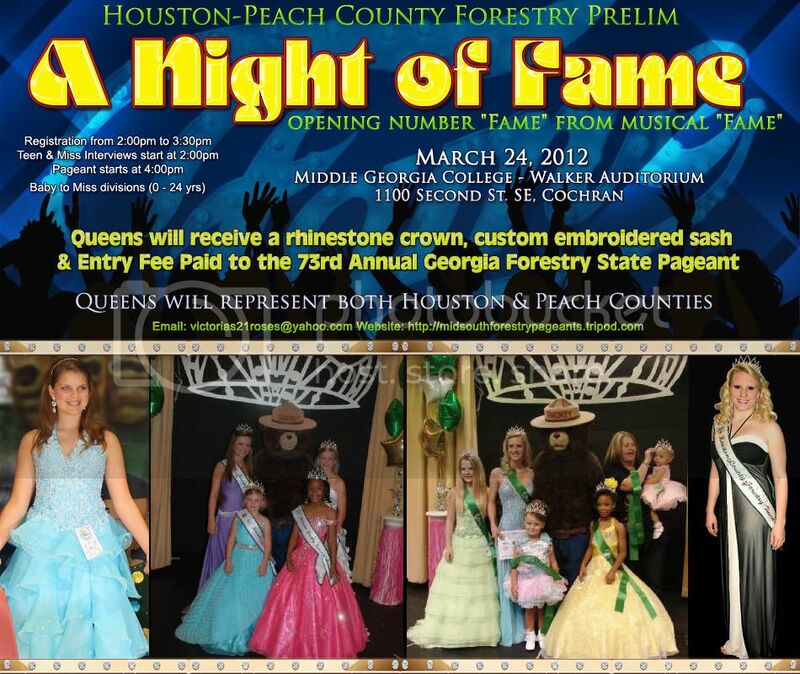 Congratulations to the Newly Crowned 2012 Houston County Forestry Queens. Looking forward to working with all of you this year. Congratulatons to the newly crowned 2012 Lowndes Forestry Queens! We had an outstanding night in Macon County on Feb. 25th with 35 girls competing for the forestry titles! Looking forward to state with these lovely young ladies. Six County Prelim Titles Available! We had a great night of pageantry at the Tattnall County Forestry Pageant on February 18th and some beautiful girls were crowned. I want to thank all the beautiful girls that entered. I wish we could have crowned them all. We are all excited about going to State. We had no contestants in the Teen Miss Division this year. Joni and I are so blessed to have had such a great first forestry pageant. I want to thank all the girls, parents, sponsors and volunteers we had to help make our first year a success. We have some beautiful queens and look forward to sharing them with everyone at the State Forestry Pageant in June. 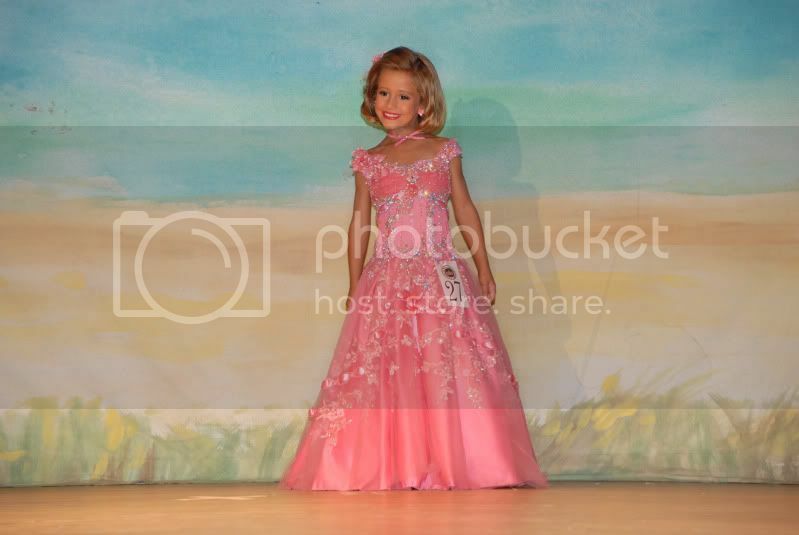 The Brantley and Ware County Forestry Pageants will be held On March 17, 2012. The Tattnall, Liberty and Long County Forestry pageants are scheduled for February 18, 2012 at the beautiful Glennville City Auditorium in Glennville, Georgia. 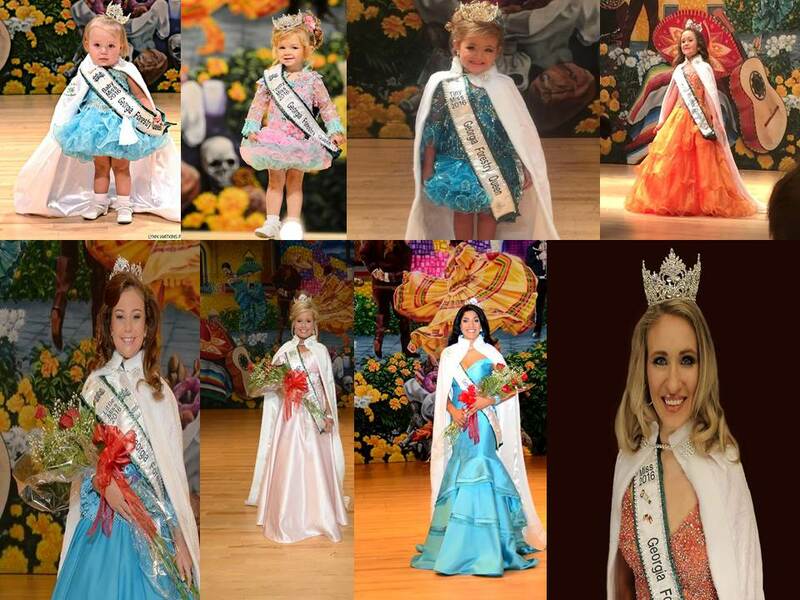 I plan on crowning beautiful queens for all divisions ages 0-24 for each county. 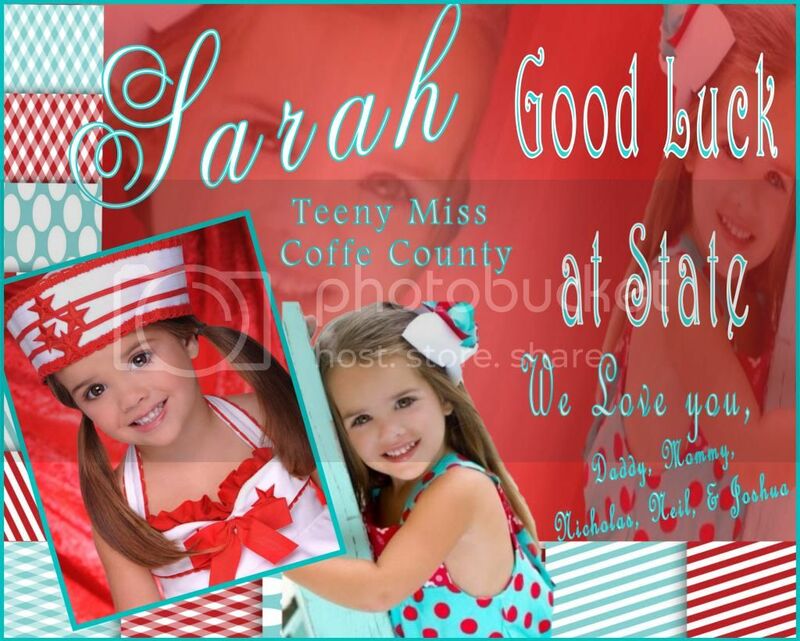 Winners will have their entry fees paid to the State Pageant held in Tifton in June. Email me at sherrylong1608@yahoo.com for application. The Miss Berrien County Forestry Pageant will be Feb 4th, 2012 at the auditorium at the old Ray City School in Ray City starting at 6pm. The pageant is open to all girls in the southwest area. Check the listing on the main page and it shows all the counties. If you are unsure please contact me, Miss Connie at 229-686-7366 after 6pm. or email me at cmluke2001@yahoo.com. Age groups are baby-miss. For applications please email me at the above email or send me a message on FB. You can also contact Ashley Edelen at 229-392-5789 or email her at ashleykristen26@yahoo.com. We really did good last year at state and I am ready to send some more girls this year. "A Night of Fame" - opening number "Fame" from musical "Fame"
"You Can't Stop the Beat" from musical "Hairspray"
"A Night to be Popular" - opening number "Popular" from musical "Wicked"
Come join us for a chance to represent Effingham County at the 70th Annual Georgia Forestry State Pageant! The Georgia Forestry State Pageant is the oldest scholarship pageant in the state of Georgia!! For more information you can contact the director listed above by phone or email. You can also visit the above website to download an application. 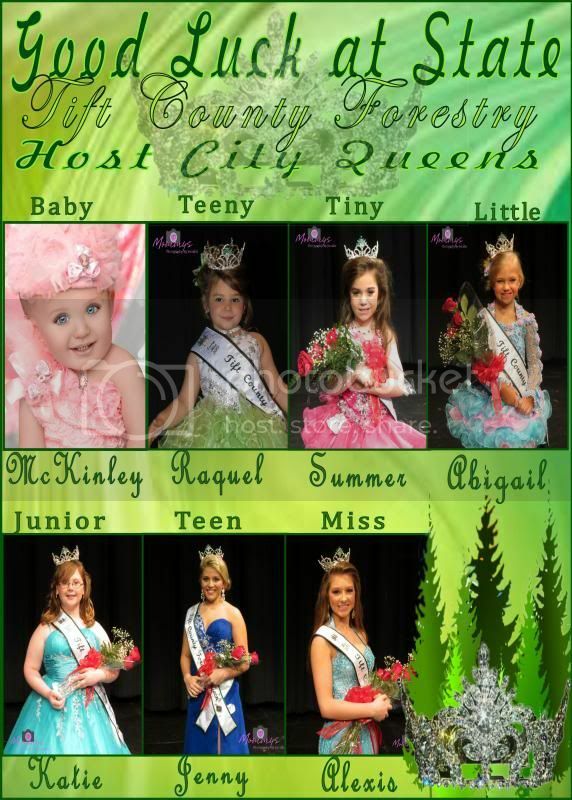 Baby thru Miss Queens -will receive a beautiful rhinestone crown, satin monogrammed sash, crowning pin, trophy or plaque, and the opportunity to represent Effingham County in parades and appearances! I have lost my daughters magnetic sign. It is for Brooke Reese. I have lost it possibly in the tifton area. If someone finds it please call me @ 229-452-1070 or 229-482-7135. Recently Stephanie Hill was invited to the Golden Isles Trade Show held on Jekyll Island to represent her platform Hospice and her National Forestry Title. She was interviewed by several radio stations. The three hour event was attended by local businesses and leaders. 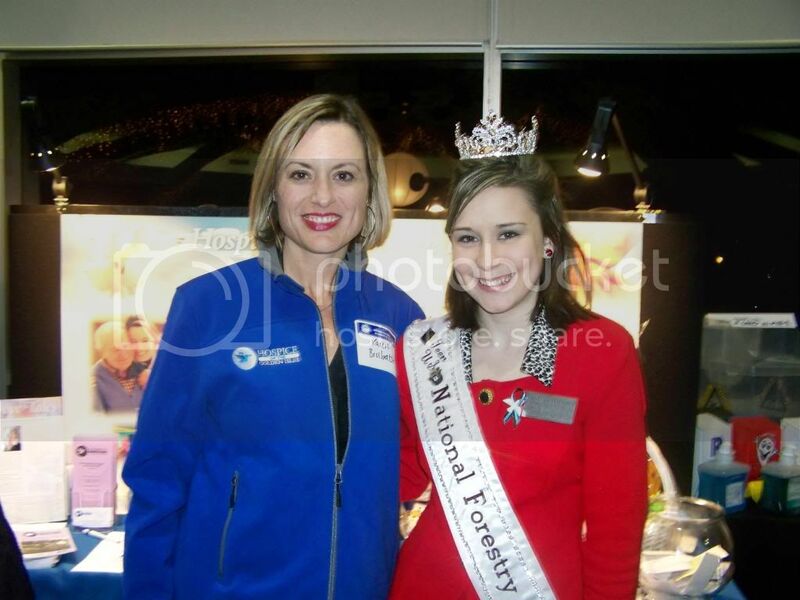 Stephanie enjoyed meeting everyone and representing her national forestry title. Stephanie is shown here with Hospice of the Golden Isles Director Karen Brewbaker, Hospice Ladies Auxillary Pat Weaver and Pinova Plant Director Cedric King. Way to go Stephanie! I just wanted to wish a very Happy birthday to the greatest mother in the world. I love you and I hope you have a wonderful day. Going the georgia forestry group! Upload you pictures, events, anything! Over 120 members and still growing! Subject: Thank you all...please continue to pray for me and my family. As you all know, My Daddy passed away last Saturday, December 13th. I want to thank everyone for your kind messages posted here and on the guest books at the funeral home webpage and the Tifton Gazette webpage. I also want to thank everyone for the flowers, cards, and prayers. Please continue to pray for me and my family. We've had a rough year with the passing of my sister in March and now my daddy. I miss my daddy and my sister more than anyone will ever know. I hope everyone has a Merry Christmas and a Blessed New Year. Subject: BRYAN CO DATE CHANGE!!! Bryan Co Forestry Date has been moved to Sunday March 29. Open to all of GA. LAST chance to win a Forestry Title!! Please contact me for any and all details! 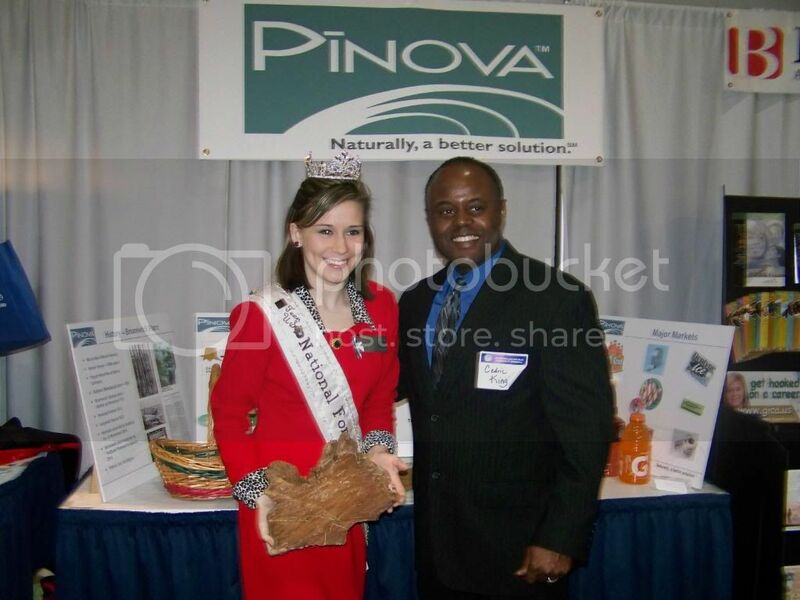 Subject: Happy Late Birthday Masie-Teeny Miss GA Forestry Queen!!! Mommy, Daddy, and Mylee love you very much! My name is Marsha Moore. I am a former Miss Georgia competitor and have worked with a few forestry queens in the past. I am an instructor with Stephanie's Dance Explosion in Swainsboro. And I wanted to invite those out there interested in signing up for dance this fall at our studio. We are going into our 25th year of dance, and would love for you to be apart of our dance family. If interested, please call the studio. The number is 478-237-2765, you can also leave us a message on our fan page on Facebook. Thanks so much! Hope to see you there. Congratulations To Miss Haley Hortman-2011 Miss GA Forestry Queen. We Love You Haley, And We Are So Proud Of You. Subject: Will there be a baby division at Nationals? 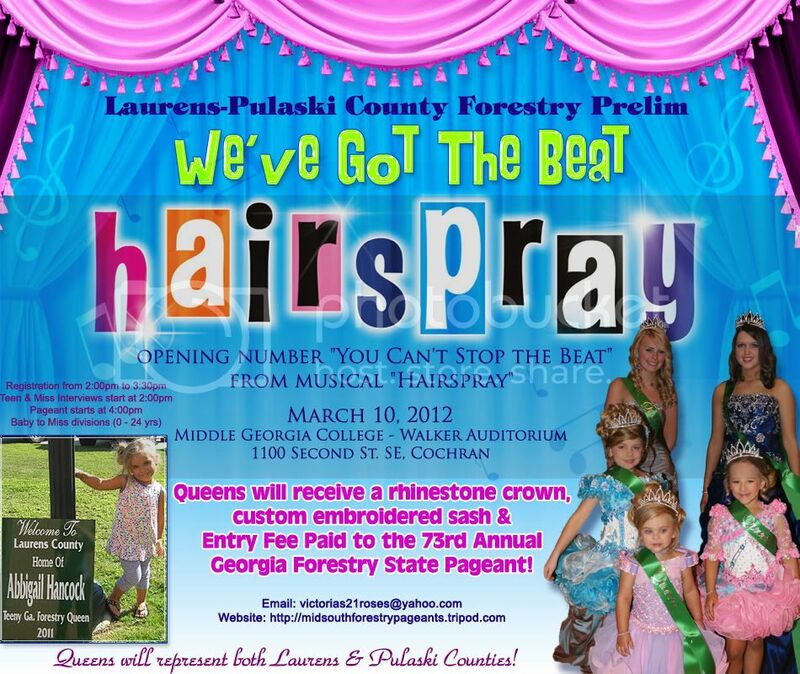 Subject: The Miss Georgia Forestry Pageant is going to be awesome this weekend. Teen and Miss will compete Saturday night at 6:00 P.M. The doors will open at 5:00 P.M. The opening production is going to be phenominal under the Direction of Pam Byrd and the Dancers' Pointe. The Teen and Miss contestants will dressed from different countries. It will be beautiful! You don't want to miss it! We can't wait! Subject: Good Luck Victoria!! We love you!! Mom, Dad, Tyler, and Nanny!! Good luck from Courtney & Beverly Carlan. We know you'll do great! 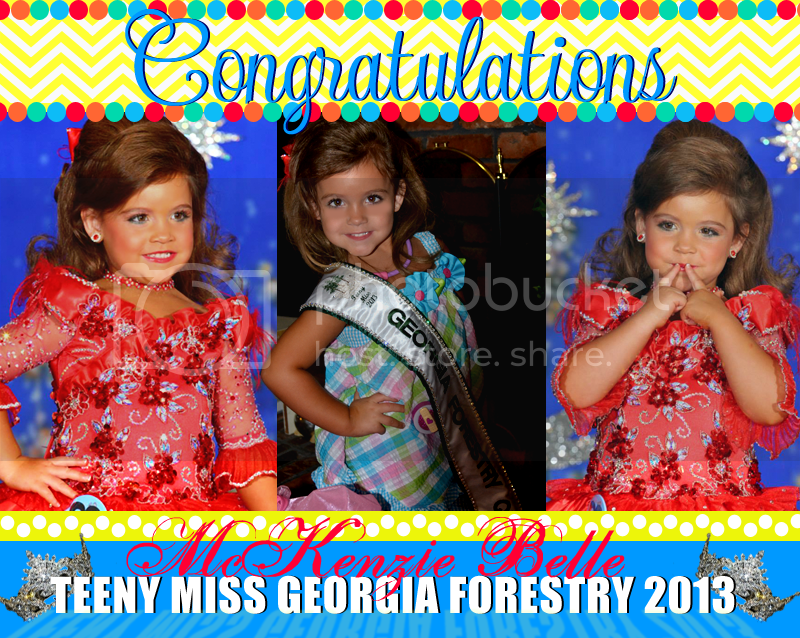 Subject: Congratulations to our Tiny Miss Georgia Forestry Winners. Congratulations to all the contestants, you all were beautiful! Subject: Congratulations to our Junior Miss Georgia Forestry Winners. Congratulations to all the contestants, you all were beautiful! 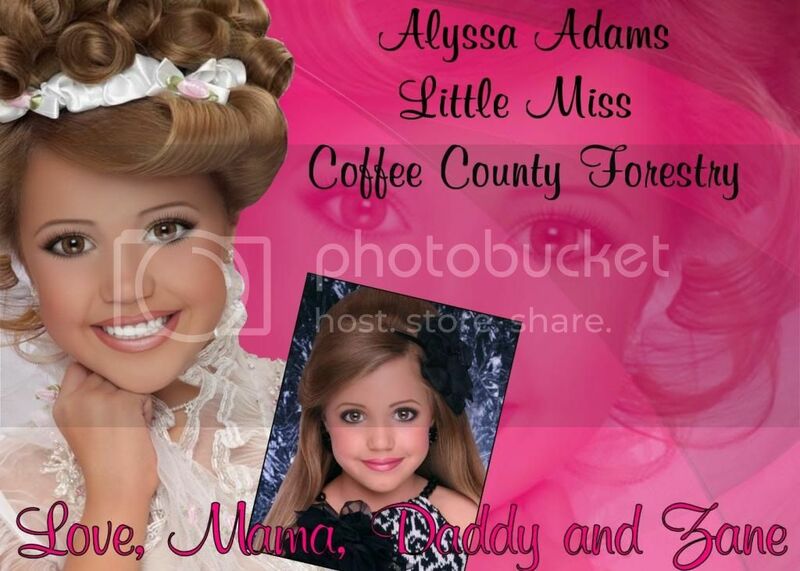 Subject: Congratulations to our Baby Miss Georgia Forestry Winners. Congratulations to all the contestants, you all were beautiful! 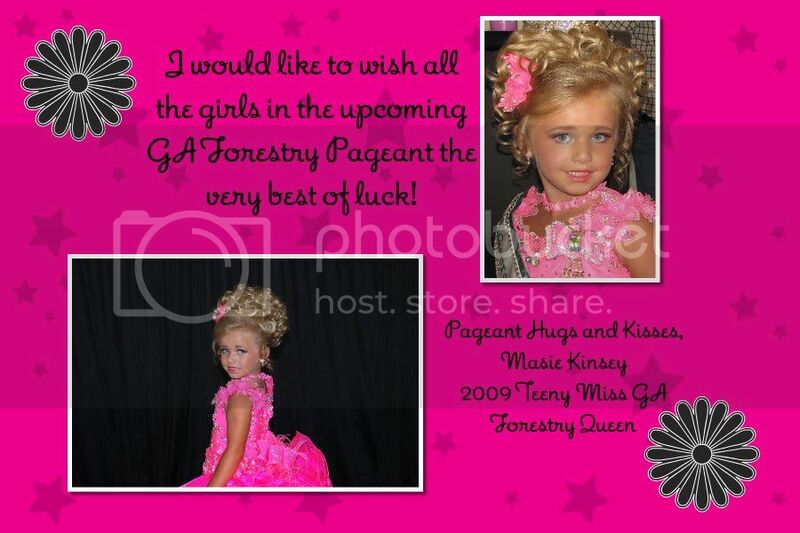 Subject: Congratulations to our Teeny Miss Georgia Forestry Winners. Congratulations to all the contestants, you all were beautiful! Kylie you were just beautiful on the stage and did an awesome job. You will make a wonderful Little Miss Georgia State Forestry Queen. Aunt Kay and McKenzie are so proud of you. We love you! Subject: McKenzie Belle - Miss Worth County! We love you baby! Subject: Good luck to Wayne County and Jeff Davis Queens. 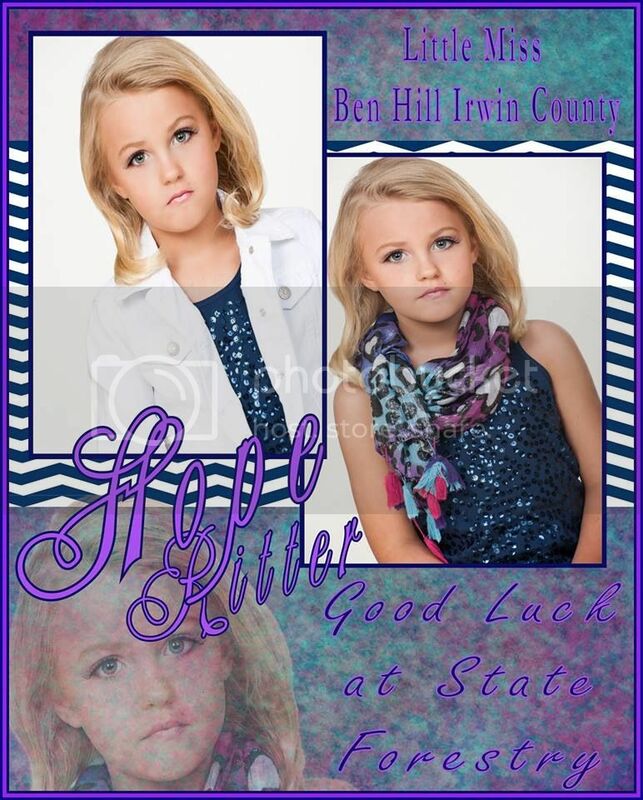 Good luck to my precious babies- Lexi Beaver, Jr. Miss Wayne County and Linli Beaver- Little Miss Jeff Davis. Do your best and I'll be proud. I love you, Mama. Good Luck Bailee Hope Johnson!!! GOOD LUCK AT THE STATE PAGEANT!!! REMEMBER TO HAVE LOT OF FUN AND SMILE!!! Subject: Good luck McKenzie Belle Ford! Good Luck to our queens competing at state this weekend. We love you all and know that you will do great! Subject: Good Luck Kristen! We all love you!!!!! I know you will do us all proud!! Which Miss Georgia Forestry Queen competed for seven consecutive years before winning the title of Miss Georgia Forestry Queen? Subject: Shelbi Whaley booking H&M now for teen and miss! Subject: The Country Inn Suites in Tifton is our Host Motel! The room rate is $65.00 per night. You also need to contact Melody before arriving to make sure they have your reservations down! I hope this clarifies where we will be staying! 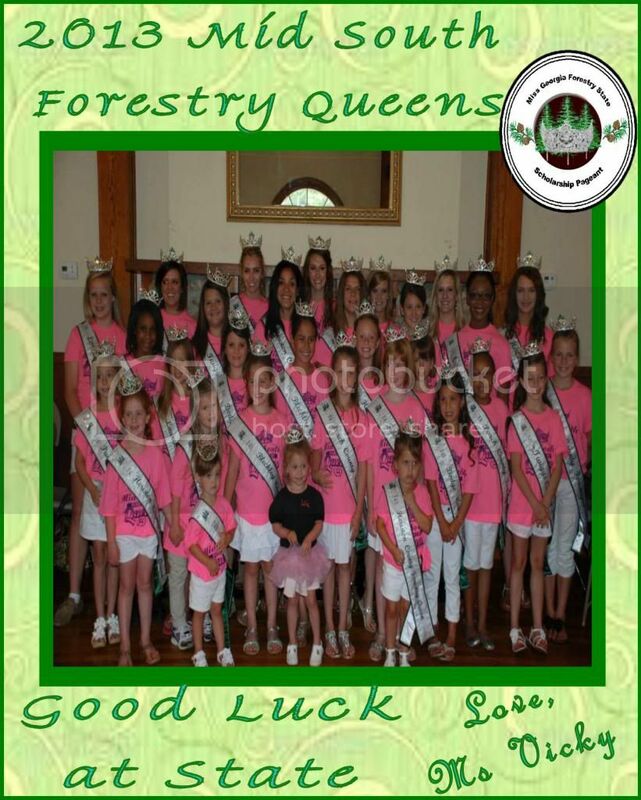 Good Luck to the Dougherty-Lee Forestry Queens at State. We love you! We have the best queens in the state! Subject: Alright Moms, Friends, and Directors...the girls have worked very hard and state is in one week. We want to see some Good Luck wishes on here! I just wanted to take this time to make a recommendation for Samantha Gunn, who will be available for hair bookings at the State Pageant this year. Sam is the hairstylist for the girl group I am in, The CoEdz (You can check us out on facebook to see some of the styles). She is by far the most awesome hair stylist I've ever worked with and always makes me look great. 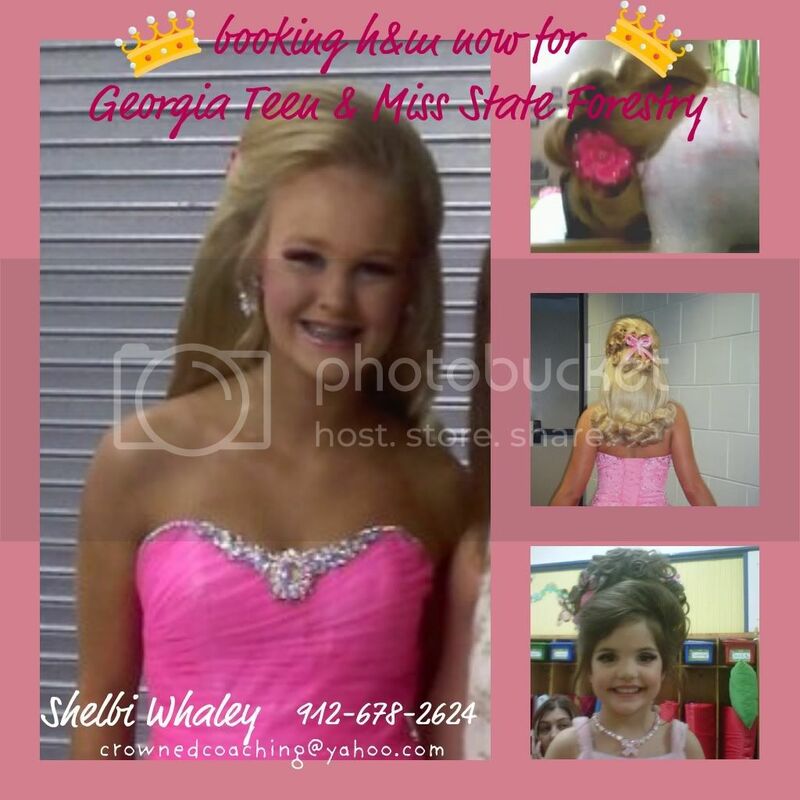 She is very experienced and super talented in pageant hair and works at a high end salon here in Atlanta. She is new to the forestry family so I just wanted everyone to know just a little about her. The Tift County Forestry Pageant will be held on May 21st. We will have divisions for Babies through Miss. Email tiftforestry@yahoo.com for an application. This is your last chance to win your fees paid to state. Subject: GOOD LUCK AT STATE KELSEY!!!! Subject: We've had some moms asking us to add a Baby Division to Miss Georgia Forestry and to National Forestry. I am considering it. Email me at missgaforestry@yahoo.com if you are interested. 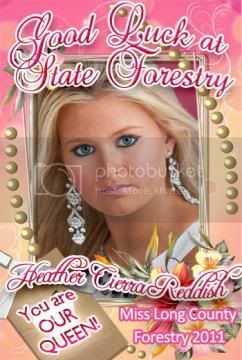 Hair, Makeup, and Spray Tanning Appointments available for State Forestry. For more information contact Kerri Samples. Motel reservations are due! If you don't make your motel reservation ASAP, you will lose your discount! Subject: Forestry Family! I need your help! Hope everyone is doing well! It's been so long since I've seen or talked to some of you! I am engaged to a wonderful man and we started to plan our wedding, but due to medical issues I'm having we unfortunately cannot afford a wedding, so we've entered to win a Disney Wedding! I really could use all of your help in making this dream a reality! If you could follow the link posted below and vote for me and Alan it would be greatly appreciated! You will have to register which is free and only takes a short second! Thanks everyone and hope to see some of you soon! The 1st Annual Miss Easter Lily Pageant will be held on April 9th in Eastman,Georgia.The pageant will begin at 1:00. There are 3 supreme titles up for grabs! It is 100 for all or 40 for beauty and 10 per optional. There are 7 optionals including Easter Wear! The first 10 applications and money in wins a PRIZE!!!!!! The deadline to enter is April 1st. Please email Emerald Cruz at emeraldluvsjavier@yahoo.com for an application or for more information! Thank you! On Saturday - Feb 12th we crowned 7 beautiful queens and we are so proud to be their directors. Congrats to...Baby Miss-India Barron, Teeny Miss-Libbie Reynolds, Tiny Miss-Alyssa Futrill, Little Miss-Jada Bell, Junior Miss-Anna Eakes, Teen Miss-Faith White and Miss-Abby Morris Looking forward to a wonderful year and a GREAT time at State! Miss Berrien County Forestry Pageant will be held Feb 5 in Nashville, Ga. It is open to all counties in the South West area. Come on teen and miss, we really need some contestants. Not counting out other age groups, the more the merrier! This is a way for more of you to come and compete and go back to the state pageant. For more information please contact Connie Luke at cmluke2001@yahoo.com or Ashley Edelen at ashleykristen26@yahoo.com. As always we love to send girls to state and hopefully come out with a state queen. 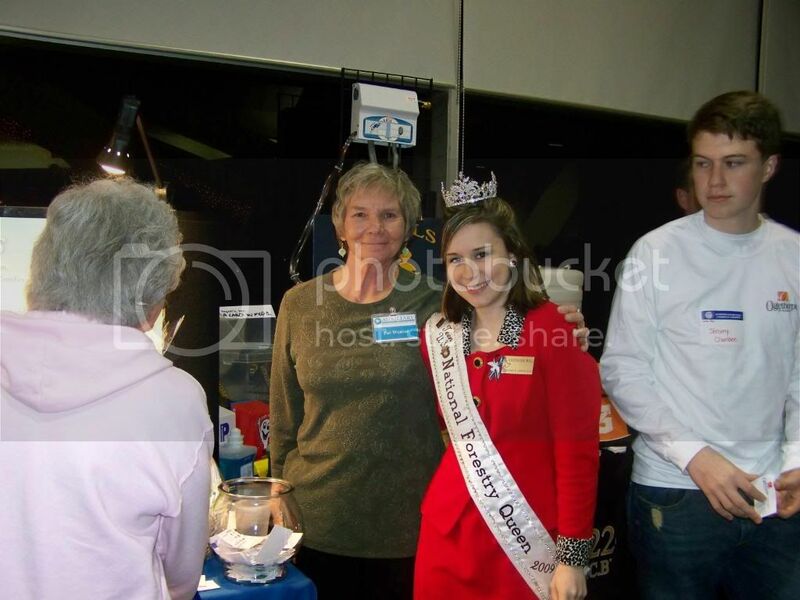 Subject: We are putting up contestants pictures on our website at missgaforestry.com as they come in. Subject: Please note! We are not accepting personal checks for state. You must submit a business check, cashier's check, money order, or cash. We've had too many folks giving bad checks!!! Subject: Appling and Jeff Davis County Forestry Pageant Feb 19th. Please contact Susan Courson for details at applingforestry@yahoo.com Numbers are extremely low!!!! Don't miss out. Open to all young ladies ages 0 to 24 in the southeast district. You do not have to touch these counties girls. contact Mrs. Courson today. We are extending our deadline...get your applications in....you don't want to miss out on this exciting evening! Looking forward to getting to know each of you!